It's refreshing to see a film so committed to its own rules and style (all on a micro budget); a film that doesn't compromise itself or its intentions. The mystery remains intact and the questions reverberate off the empty gym walls. Toni watches. What she sees and what she feels is up to the viewer to decide. You honestly don’t know what to expect, and when the film is done, you’re not exactly sure what has happened. Again, Holmer isn’t going to tell you. It may sound frustrating. Instead, it is immensely satisfying. This film has a 98% critics / 57% audience rating on rottentomatos.com. It's currently viewable on Amazon Prime. But yeah it's a come out nowhere delight- real punching above it's weight low budget movie-short, direct, intense, like yes this is good movement for movies to go into. Loved all the evocation of that middle school period of life without being a one to one allegory. It's like when you're 11 or such you're just dying for SOMETHING to happen. It's not really a horror movie, but it does nail the horrific feeling of adolescence. Yeah I've been telling my horrror fan friends, it's not really a horror movie but it hits all the buttons of and has the feel of a horror movie. Thanks for the link to the Overinvested podcast. I have been slamming them down. Ooooh I am so glad someone else has watched this! I saw it as soon as it was available on Amazon and have yet to be able to convince someone else to see it or have met someone who has. 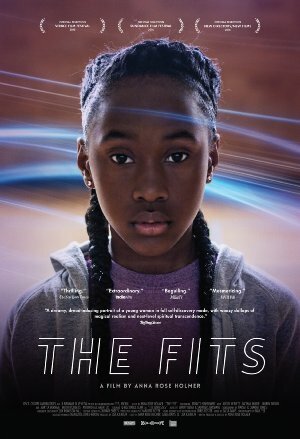 It's such a beautifully tense, true movie, and Royalty Hightower deserves a hundred times more recognition than she's received.